Singing with friends on the Italian sunny island. 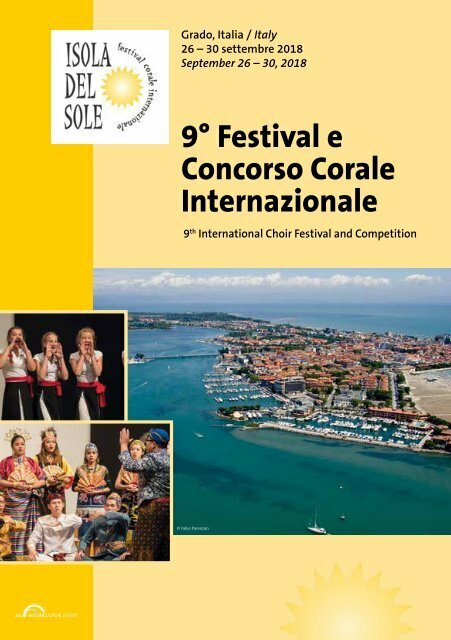 The sunny island of Grado and its numerous venues, short walking distances and a historic city centre as well as manifold touristic sights within the region of Trieste and Venice represent the perfect place for a meeting of international choirs. Special highlights are the appearances at the basilica Sant‘Eufemia in Grado and the basilica in Aquileia. Pedagogical offers such as artistic Evaluation Performances or rehearsals with international choral experts make this festival perfect. Grado offers all participating singers optimum requirements to get to know new cultures, to establish intercultural friendships and to feel at home.